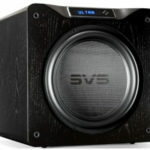 In my recent review of the Sanders Sound Model 10c speakers (interested readers may also want to read my interview with Roger Sanders ), I mentioned that the one perceived weakness was a mechanical quality to the sound that both I, and visitors to my listening room, attributed to the Behringer active cross-over that is included with the speakers. In an effort to improve on this, I explored a number of options. I first learned there are a number of commercial enterprises (all quite small, I would imagine) that modify the Behringer, though I never got so far as to actually try any of them. I also tried another, more expensive digital crossover, in the hope that it would have better sonics than the Behringer (it did). However, credit for the path I ultimately took goes to Merrill Wettasinghe of Merrill Audio, whose Veritas monobock amplifiers are my current reference (for a recent review by my fellow dagogoan Ray Seda). Merrill also owns the Sanders Sound speakers, and mentioned to Ron Robinson of Channel D audio our interest in replacing the Behringer. Rob suggested what proved to be an elegant solution using his Pure Vinyl (or Pure Music) software. I interviewed Rob a few years ago and while I had some familiarity with his products, I had no idea of their flexibility and broad utility. Rob was kind enough to bring a system (see below) to my home for me (and Merrill, and others in my local audiophile circle) to audition; I was so impressed I pulled the trigger. This article will not be a review of a particular product; rather, it will be more of a systems review, the goal of which is to share my exploration in the hope that it will prove beneficial to others. Channel D software (i.e., Pure Music and Pure Vinyl) does not run in PCs, so I first had to get an Apple computer. Rob uses a Mac Mini for the music computer, and controls it remotely (and wirelessly) with a MacBook, via the built in Screen Sharing feature of the Mac OS. I ordered a Mac Mini to use as the music computer; rather than buying a second Mac, I purchased an iPad to use for remote control. Rob had explained that Pure Music or Pure Vinyl would provide the cross-over functionality, but not the “shelf function” which was needed to correct for dipole cancellation. 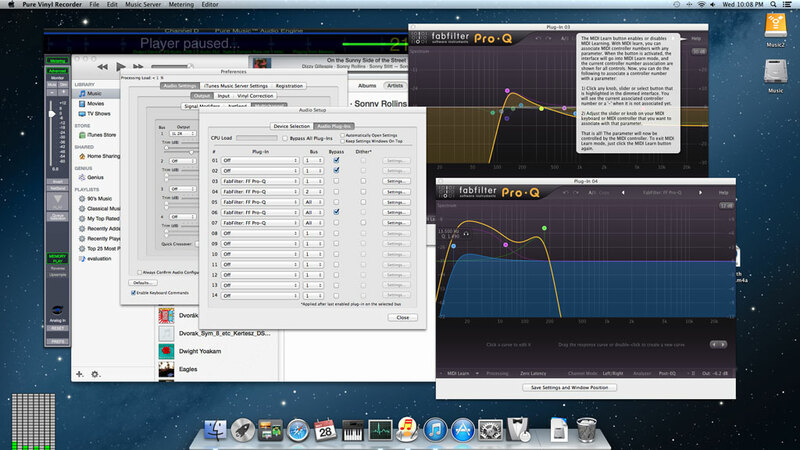 For this latter function Rob recommended a plug-in from Fab Filter (http://www.fabfilter.com/), which I promptly ordered. Importantly, Pure Music and Pure Vinyl are designed to work with a variety of Plug-ins, making interaction between the two programs seamless. As I will discuss later, Fab Filter offered another important function that is applicable to all systems, not just those with an active cross-over. Crossing-over in the computer solved one problem — the Behringer — but created another (actually, two others). Because high and low frequencies are separated in the computer — that is, before the D-to-A converter (“DAC”) — it is necessary to use a DAC with four outputs (i.e., left high, left low, right high, right low), rather than the usual two. For some time now Rob has been using the Lynx Hilo AD/DA Converter for his own system, which is actively bi-amped. 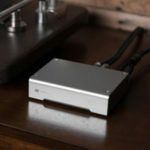 (I learned from Rob that the active crossover feature has been part of Pure Vinyl since its development began in 2003 — it was not something added later — -though at that time he used a different multichannel DAC.) As should go without saying, Rob chose the Hilo not just because of its four channels and built-in ADC, but also because he likes its sonics (about which I will have more to say later). I ordered one. Those of you who read my interview with Rob will recall that Channel D Pure Vinyl was originally conceived and developed as a way to overcome one of the major quality bottlenecks to LP playback: the RIAA filter. The digital archiving part was a secondary feature that came along “for free.” Once an LP has been archived, playback is akin to playback of a ripped CD, though with the added benefit of Channel D Pure Vinyl’s patented –and I might add, superb — graphical interface. However, archiving is not necessary; Channel D Pure Vinyl also allows one to listen in real time. The RIAA correction is performed using Rob’s proprietary digital filters. There are thus three ways one can listen to vinyl. The first is the traditional method, which is purely analogue. In this method, the output of the cartridge goes to the phono preamp, which both amplifies the signal and performs the RIAA correction. The signal then goes to a line level preamp (i.e. 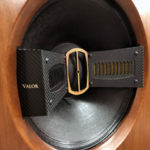 line stage) for additional amplification and volume control, then passed along to the amplifier, and from there to the speakers. The second approach is a hybrid, involving both analogue and digital steps. As in the purely analogue method, the signal from the cartridge is sent to the phono stage for amplification and RIAA correction (in the analogue domain), but the signal is then digitized and sent to a computer for subsequent processing (for example, crossing over the high and low frequencies), and optionally, storage. 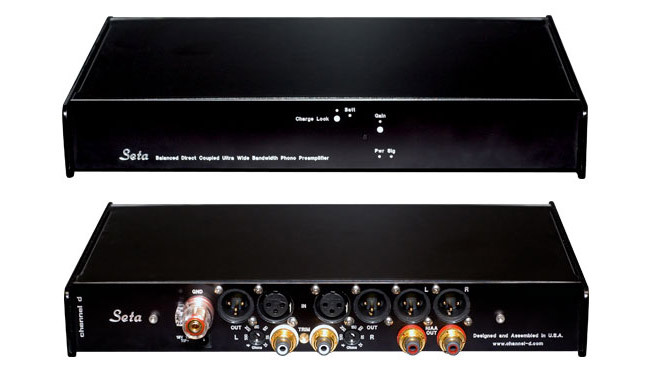 In the third approach the signal from the cartridge is sent to a phono stage which amplifies the signal, but does not perform the RIAA correction. The amplified signal is then digitized (in an ADC), and sent to the computer which performs the RIAA correction and subsequent processing (such as cross over), both in the digital domain. As in the hybrid approach, the digitized signal can be stored for future access. Rob believes performing RIAA correction in the digital domain (i.e., the third approach) offers a sonic advantage over the traditional approach to vinyl playback. As my setup required digitization of the analog signal, and because I was switching to Channel D Pure Vinyl for digital playback, I figured I might as well go all the way and perform the RIAA correction digitally, using the Channel D Pure Vinyl software. As I mentioned, it is still necessary to use a phonostage to boost the small signal from the cartridge, but of course it must do so without also performing the RIAA correction in the analog domain. I was unaware of such a device but — surprise surprise — Rob’s SETA phonostage is just what the doctor ordered. It provides sufficient gain for even my low output (i.e., 0.2 mV) Miyajima Shilabe cartridge, and settings to match virtually any cartridge. 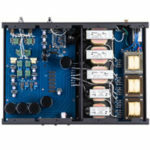 (As an aside, it is available with an optional board that performs analogue RIAA correction, for those who wish to take the traditional approach.) I ordered a SETA, and now had everything I needed. Steve from Los Angeles here. Like you, I own the Sanders System. Also, I setup and perform the Sanders demo in Newport Beach and Chicago. I had dinner with you and Roger in Denver a couple of years ago… Anyway, here is my point…Like most audio enthusiasts, including Roger, I am interested in having the best audio experience possible at home… That is not to say that it cannot be improved upon…However, that said, have you subjected your new crossover setup to tightly controlled, double-blind testing at the Sanders facility? Assuming the new crossover setup meets the Sander’s BQC’s, you could put this matter to rest by bringing it with you to RMAF this year and going to the Sanders facility! I will be helping at the RMAF this year and look forward to this evaluation. Since Roger only uses a PC, you may need to bring along your Mac Mini.